Nivia Gonzalez was a child prodigy with an extraordinary artistic talent. 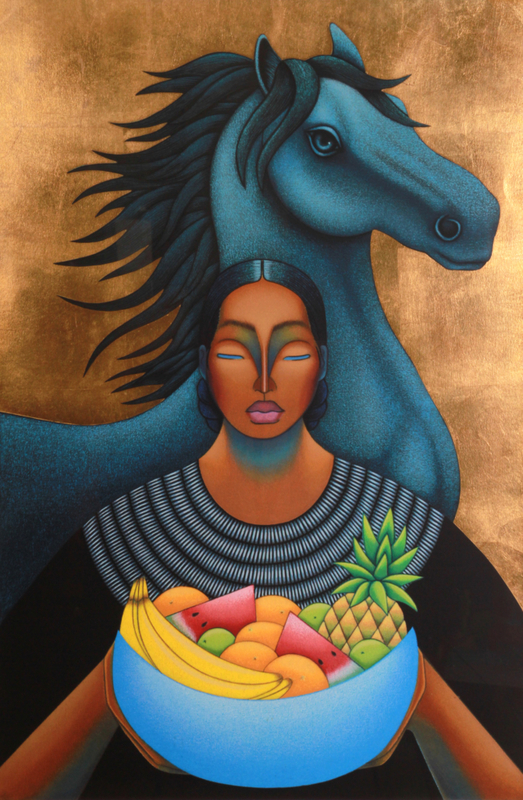 A native of San Antonio, Texas, her first solo exhibit was at the Witte Museum at the age of 17. She earned her bachelor’s degree in studio art from Trinity University, attended Cooper Union’s art program in New York City and earned an MA of art education at the University of Texas in Austin. She worked as a full-time artist while raising her twin daughters as a single mother and rose to prominence as a nationally recognized Latina visual artist, exhibiting her work in galleries across the United States and directing public art projects in San Antonio. 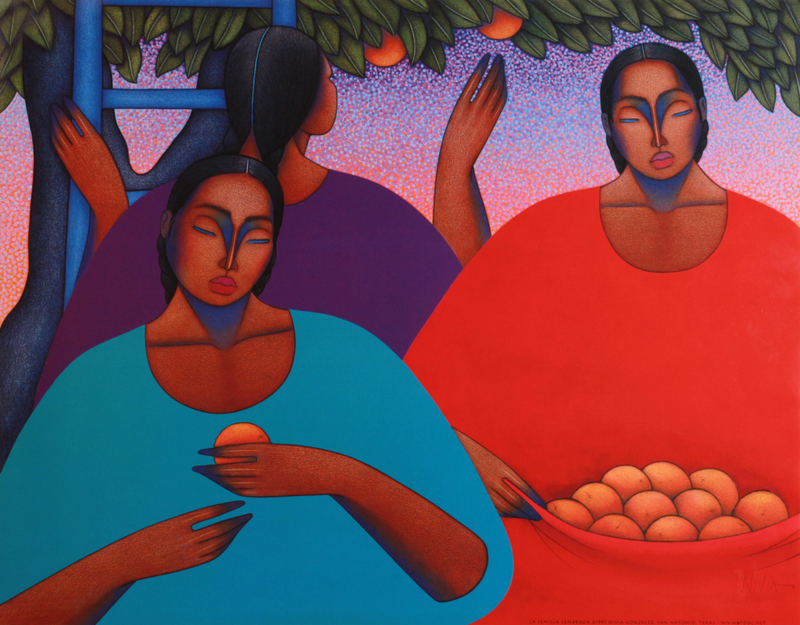 Her signature style graced the book covers of celebrated authors like Sandra Cisneros and Alice Walker. In 1997, Gonzalez’s career stalled after suffering a car accident that caused a traumatic brain injury. After eight years of intensive physical therapy, Gonzalez began to paint again. She died on June 4, 2017 and is survived by her daughters Regina Antelo and Selena Watson, who authored the artist statement for this issue.